Attention Artists: The Webcomic Tarot opens up! 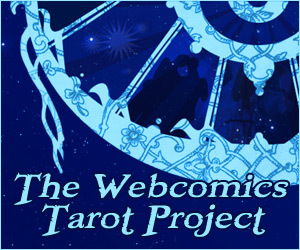 The Webcomic Tarot Project now has open slots! If you’re a webcomic creator, head over to the website and read the Rules and FAQ. Hurry, this may fill up rather quickly. Personally, I’ve got Strength submitted in the deck, and I just grabbed King of Swords. There are some great artists already in the project. Why aren’t you?